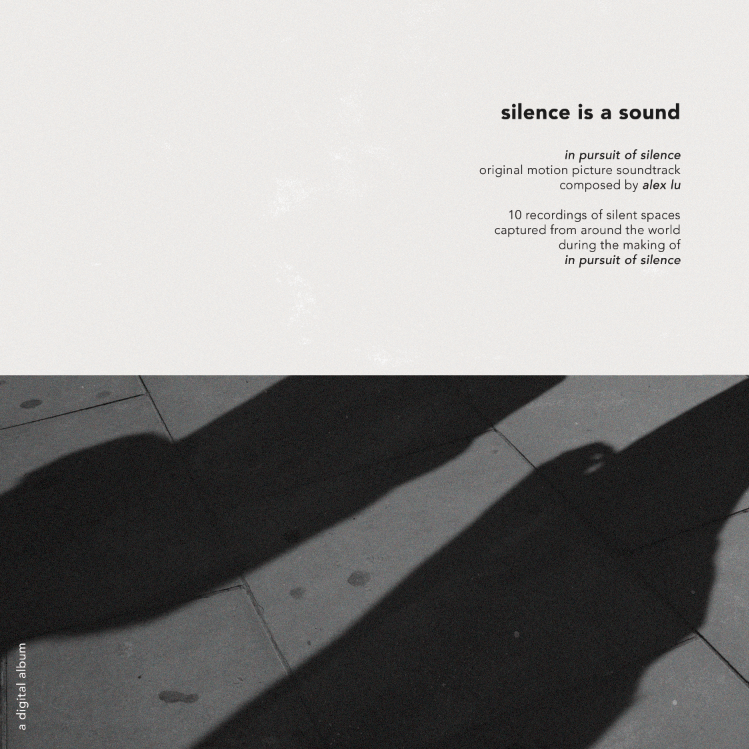 Sample the digital album (headphones highly recommended) which features the original soundtrack by Alex Lu and 10 recordings of silent places captured around the world during the making of In Pursuit of Silence and download your copy. Silence is much more than the absence of sound. It can have many textures and qualities that all combine to form a sonic environment that is both pleasing to the ear and the mind. From the negative 13 decibels of silence at the anechoic chamber at Orfield Laboratories in Minneapolis, MN to the nightly chorus of frogs that lull the monks at the Tekishinjuku Zen Monastery in Kyoto, Japan into zazen; we’ve traveled the globe capturing varying types of “silence” with some of the best sound equipment available. This album is not a collection of soundscape recordings. This compilation is an audio diary of some of our favorite “silences” from around the world, each with its own story.